(TibetanReview.net, May26, 2016) – The Dalai Lama, Tibet’s spiritual leader who lives in exile at Dharamshala, India, will bestow his 34th Kalachakra empowerment at the world’s holiest Buddhist site of Bodh Gaya in India from Jan 3 to 14, 2017, said the Central Tibetan Administration on its Tibet.net website May 24. The empowerment, the most popular among Tibetan Buddhists, was originally requested by the Kashag, the executive organ of the exile Tibetan administration, to be held at the beginning of this year but was later postponed. The Dalai Lama conducted his first Kalachakra ritual in 1954 at Lhasa, the capital of a still nominally independent Tibet. He gave the most number of this teaching at Bodh Gaya – in 1974, 1985, 2003 and 2012, the last of which drew over 200,000 devotees from across the world, including anywhere from 8,000 to 10,000 from Chinese ruled Tibet. 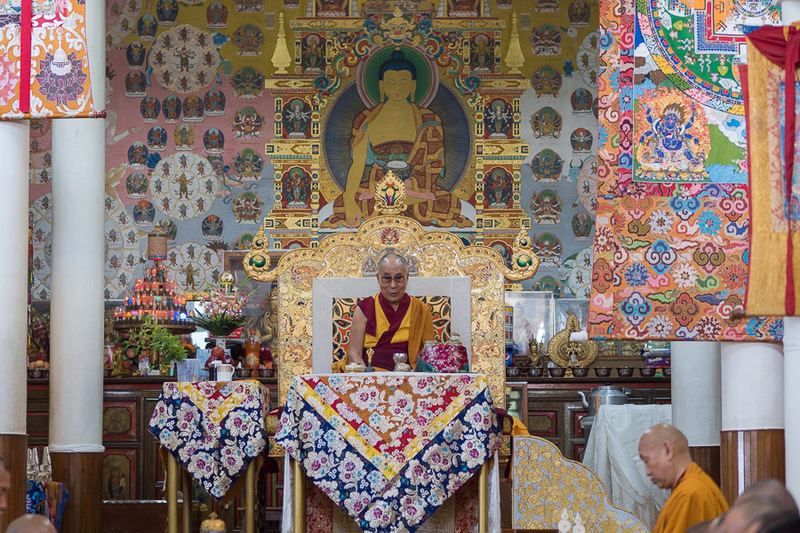 Meanwhile, over Jun 1-3, the Dalai Lama will give a teaching on Domthonpa’s A Tree of faith- A Self- Exhortation from the Book of Kadam at the request of the Tibetan Youth in the Tsuglakhang, Dharamshala. Also, at the request of the Nalanda Shiksha, he will teach from Chapter 4 of Shantideva’s Bodhicharyavatara (Chodjug) at the same venue over Jun 7-9. I would like to attend the Dalai Lama’s teaching on Bodh Gaya Kalachakra over Jan 3-14, 2017. Please let me know how to sign up and what I need to do in order to attend.